Shivhan Dohse Rocky Mountain Tour - Integral Steps, an integrative education non-profit supporting the balanced development of individuals, families and communities, through music, movement, psychotherapy, ecology and creative arts! Colorado and Portland based! We are pleased to announce that International Flutist and National Marketing & Sales Director for Miyazawa Shivhan Dohse will be coming to Colorado in May to present two special workshops "Introduction to the Irish Flute" and "How to find your Perfect Flute Workshop" at Ellen Ramsey Flutes in Longmont, Colorado. She will also appear at several local high school's bringing her wealth of talent and knowledge to the Front Range! We are excited to announce that her classes are FREE, made possible by generous sponsorship of Trevor James Flutes, Ellen Ramsey Flutes, and Integral Steps' many supporters! Register Below for Shivhan's classes! ​An interactive workshop that walks a flutist through the process of finding their perfect flute. Learn what all of the options available do for both the sound and feel of the flute. Our coffee tradition continues! Special hand roasted coffee by Integral Steps' Emma Shubin. A chance to meet Shivhan, ask her about her amazing career, love of all genres of flute playing & the wonderful flutes she has brought with her. Shivhan will be bringing Miyazawa and Trevor James flutes in addition to Hammig piccolos for flutists to try. Flutes for all levels of players - for those just starting out through professionals! A performance workshop/demonstration featuring an introduction into the style and phrasing of Traditional Irish Music. 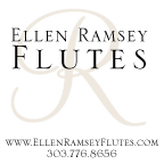 Thank you to Ellen Ramsey ​Flutes for their generous support! A versatile musician, Shivhan Dohse is in demand as a chamber musician, orchestral musician, soloist and teacher. 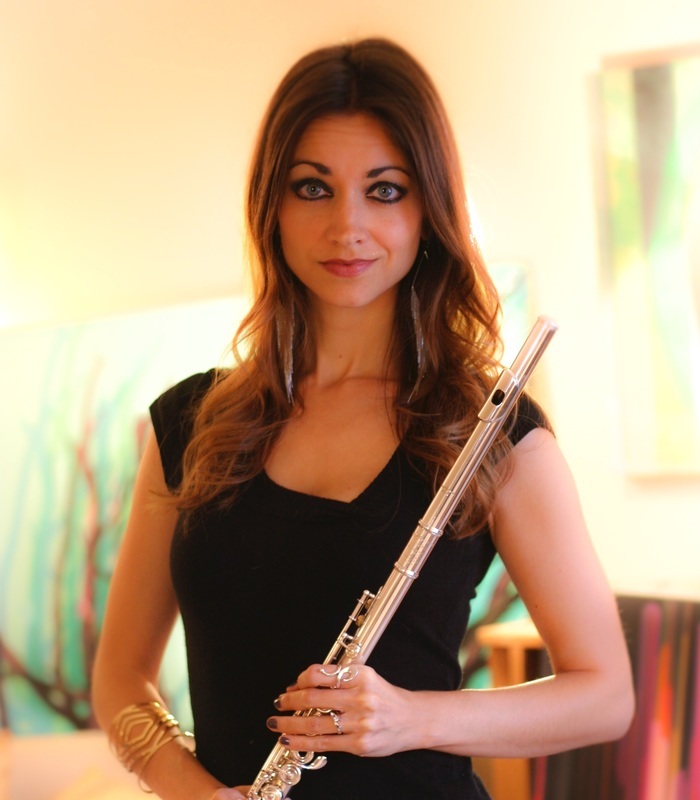 She has been a featured Solo Artist at the International Flute Festival in Brazil (2015 & 2012), the San Francisco Flute Festival (2012), the National Flute Association Convention (2015, 2014 & 2013) as well as the University of California - Santa Barbara Flute Summit (2014). Internationally, Ms. Dohse has performed concerts in Italy, England, France, Spain, Ireland, Russia, Brazil, Germany, Austria and Switzerland. Ms. Dohse has been Principal Flute of the Ottumwa Symphony Orchestra since 2010 and performs regularly with Orchestra Iowa and the Waterloo-Cedar Falls Symphony as first call substitute, often times subbing Principal positions. In 2014, Shivhan performed the Chaminade 'Concertino' and the Hanson 'Serenade' with the Ottumwa Symphony Orchestra. She looks forward to performing as the Guest Soloist with the Coe College Band this fall in addition to their tour to Costa Rica in 2016. Shivhan is currently Adjunct Instructor of Flute at Cornell College and Coe College, and has also served on the faculty of Culver-Stockton College and Clarke University. She has maintained a private studio since 2001 and has also been the National Marketing & Sales Director for Miyazawa Flutes (USA) since 2007. With her interest in entrepreneurship and music business, she has given workshops on the previously mentioned topics at the Peabody Conservatory of Music, the University of California - Santa Barbara, the women's music fraternity, Sigma Alpha Iota's, 'Province Day' as their Guest Speaker and looks forward to presenting a similar workshop at Oklahoma State University later this fall. Shivhan has been a judge for multiple competitions including the San Francisco Young Artist Competition, the Florida Flute Festival Junior Artist Competition, the Iowa Flute Festival Flute Wonders Competition (Junior and Senior Division), the Quincy Symphony Young Artist Concerto Competition and the Moline High School Solo & Ensemble Contest. Shivhan is co-founder of the genre-shattering, pop-fusion flute duo, In Sterio. In Sterio released their first original album, 'Frequency', in 2010 followed by their sophomore album, 'Awake', in 2013. The duo has performed at numerous NFA conventions, the Midwest Convention, Piccolo Spoleto Festival, Florida Music Educator's Convention, Nebraska Music Educator's Convention, Florida Flute Convention, Mid-Atlantic Flute Fair as well as holding residencies at Texas Tech University, University of Wisconsin (Madison, Milwaukee & Whitewater), James Madison University, University of Nebraska (Omaha & Lincoln), Iowa State University, University of Northern Iowa, University of South Florida, University of Tennesee (Knoxville), Lincoln Memorial University, the Raleigh Area Flute Association and the Southeast Michigan Flute Association. In 2014, In Sterio premiered a piece at the 2014 Midwest Conference written by Brian Balmages for two flutes and jazz band. Their sound has been described as "two flutes - one brain". Performances have been praised as "spell binding" and "awe inspiring" and "this high octane, 'outside the box' duo brings audiences to their feet." Always having a love for multiple genres of music, Shivhan spent a semester during her undergrad studying Irish Music at the University of College Cork in Cork, Ireland as well as a summer in St. Petersburg, Russia studying flute at the Herzan Pedagogical University. During her master's, Shivhan spent two years playing flute with the Irish band, 'Dannsair'. After the release of their CD, 'Rias Medias' in 2007, they performed concert tours in Spain (2008) & Ireland (2009). She has been invited on stage to perform with folk singer/guitarist Martin Sexton and folk/blues band 'Big Blue Sky' in addition to performing in concerts with Harry Connick Jr., Jeff Goldblum and Burt Bacharach. Ms. Dohse will be the Featured Artist for the Corridor Jazz Project in 2016 performing an Ellington piece for flute and jazz band. You may answer "N.A." to the following questions, but all information is helpful! I agree to indemnify and hold harmless Integral Steps & Ellen Ramsey Flutes, its officers, employees, agents, consultants, subcontractors, insurers and representatives (collectively Integral Steps ), for any loss, damage, or injury to myself or my property in any way related to my participation in Integral Steps' and Ellen Ramsey's programs. This release of Liability applies to me as well as any of my children, personal representatives, assigns, heirs, and next of kin. I authorize Integral Steps and Ellen Ramsey Flutes in a medical emergency to seek emergency medical assistance at my expense. I give permission to Integral Steps and Ellen Ramsey Flutes to use any photographs, videotape, or other media record of my participation in Integral Steps for any lawful purpose, without compensation. *Information provided here is for Ellen Ramsey Flutes & Integral Steps' use only. We do not share information with outside sources.